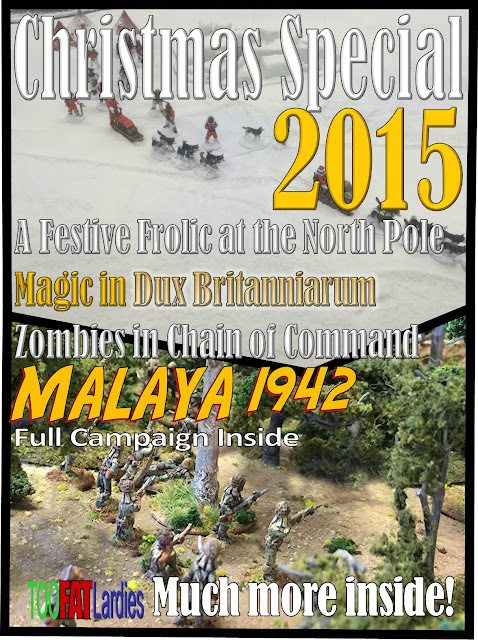 Just Add Water: Lard Christmas Special 2015 Out Now. 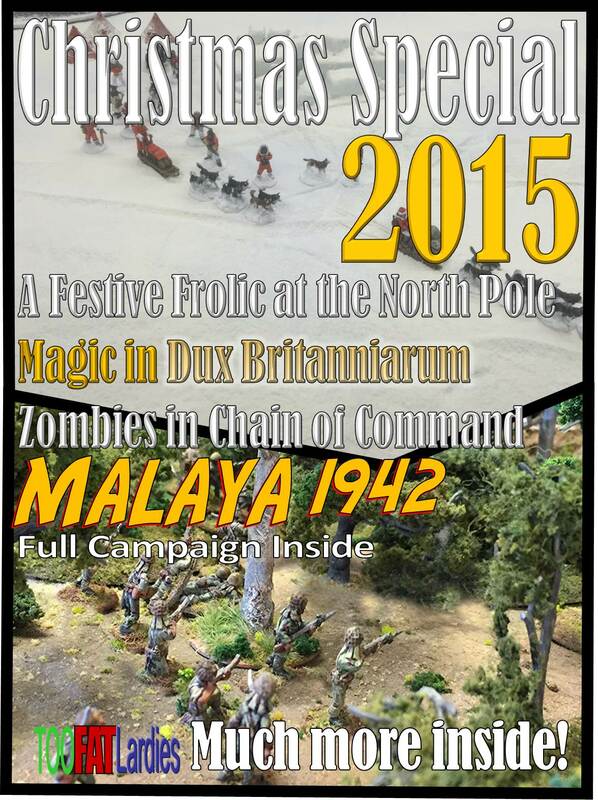 Lard Christmas Special 2015 Out Now. Introduction: A Festive greeting from Lard Island. Malaya 1942: A Chain of Comand campaign set in the jungles of Malaya sees an Australian force attempt to delay the Japanese invaders. Chain of Command Abyssinia: Supporting the vast collection of Army lists available via Lard Island News, Rolf and Jim provide some tactical notes for the Ethiopian Imperial Guard and the French Foreign Legion. Now That’s What I Call Magic! Providing a system of plausible Dark Age magic for Dux Britanniarum and The Raiders. “The Reccies”: The Reconnaissance Corps has a brief existence between 1941 and 1946. Here we look at their structure, training and how to represent them in I Ain’t Been Shot Mum and Chain of Command. The Swan: A mini-campaign for use with I Ain’t Been Shot Mum and the Reconnaissance Corps set in late 1944 as the Allies drive North through France and Belgium. The Devil’s Garden: A Western Desert scenario for Chain of Command using the Reconnaissance Corps lists. The Roundwood Report: Sidney quizzes Rich about movement in wargaming and chats about the forthcoming Sharp Practice v2. Painting German Camouflage: Ben Fiene dips his brush into the complex world of German Camouflage patterns and provides some great easy to follow solutions. Chain of Command: Undead Paranormal Sid Bennet presents a thought provoking approach to Zombies and how to make your opponent’s hair stand on end when he thinks he’s playing WWII. Mrs Slocombe Rides Again: Fat Nick tells a Christmas Tale which should probably never be told. Going with the Floe: Building Ice terrain for the North Pole. An idiot’s guide to cheap but effective terrain building.